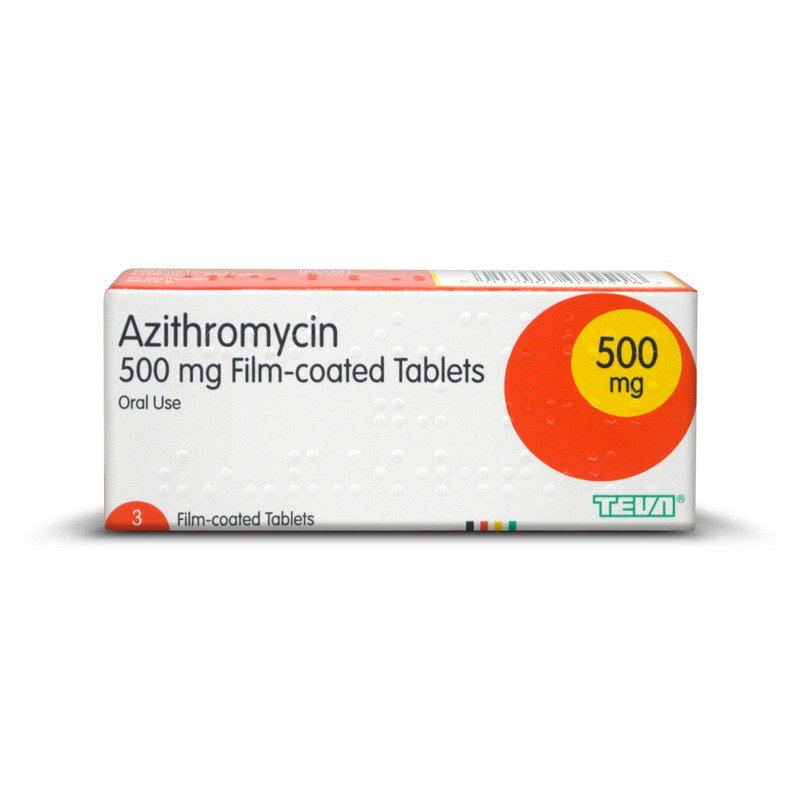 Azithromycin tablets contain 500mg of the active ingredient azithromycin. It belongs to a group of medicines called macrolide antibiotics, and is indicated for the treatment of bacterial infections such as uncomplicated Chlamydia. Azithromycin is the active ingredient in the drug Zithromax. Do you have an allergy (hypersensitivity) to azithromycin or any similar antibiotics? What is Azithromycin and what does it do? Azithromycin tablets contain 500mg of the active ingredient azithromycin. It belongs to a group of medicines called macrolide antibiotics, and is indicated for the treatment of bacterial infections such as uncomplicated Chlamydia. Azithromycin offers a single dose Chlamydia treatment and is taken by mouth. The tablets work by preventing the spreading and growth of the bacteria causing the infection. Azithromycin may be prescribed to treat a number of bacterial infections, such as Chlamydia. This product description will focus primarily on Azithromycin as a treatment for Chlamydia, however, your GP may have prescribed you Azithromycin to treat a different type of bacteria infection. Azithromycin may be prescribed when a patient has had a positive result following a Chlamydia test. Chlamydia does not always cause symptoms, so it is important that you get tested if you believe you may have been infected. You will find more information regarding Chlamydia testing on the NHS Choices website - Chlamydia. Please note, Azithromycin should not be prescribed unless you know that you have been infected with Chlamydia. Is Azithromycin suitable for my condition? This is determined by our doctors by assessing your details submitted through the medical questionnaire. Azithromycin is likely to be suitable if you have been tested positive with Chlamydia, and are not taking any medicines that may interact with Azithromycin. Please note, certain medical conditions may affect the suitability of this treatment. For your safety, it is therefore important that you read the patient information leaflet before use. If you are allergic or sensitive to Azithromycin, Erythromycin or any other macrolide or ketolide antibiotic. If you are allergic to any of the other ingredients listed in the patient information leaflet. If you suffer from severe heart problems. If you are currently taking any ergot derivatives (such as ergotamine) to treat migraine. If you are taking any other medication. What is the recommended dosage of Azithromycin? You should follow the doctor’s instructions on how to take this medicine. The doses outlined below is for your reference only. The dose will vary depending on what condition is being treated. Take both tablets (1000mg) as a single dose. Swallow the tablets with a glass of water, with or without food. Does Azithromycin cause any side effects? Yes, Azithromycin, just like all medicines, may cause side effects. However, not everyone will experience them. Note, the above is not a complete list of side effects. Please read the patient information leaflet for more information. If you notice any signs of an allergic reaction, such as difficulty breathing, swelling of the lips, tongue and/or face or severe or itchy skin rash, contact your GP or nearest surgery immediately. Yes, you can help reduce the risk of side effects by letting our doctors know about any other medicines you may take as some medicines may affect the suitability of this treatment. Please include this information when you fill in the medical questionnaire. You should also include information about any medical condition you may have. To safely and legally buy Chlamydia treatment online you need a prescription from a registered doctor. Our online doctor service allows you to request a private prescription through our medical questionnaires. Once you have submitted the questionnaire, it will be reviewed by one of our doctors. If deemed suitable for your condition, the doctor will accept your request and a prescription will be issued. Your medicine will then be dispensed by our UK based pharmacy and sent by tracked delivery to your address. Your medicine is usually dispatched within 24 hours after ordering. Take BOTH tablets (1000mg) as a single dose. Please read information leaflet provided.